Red Cliff was settled in 1879 by prospectors that were venturing out from Leadville in search of new strikes. 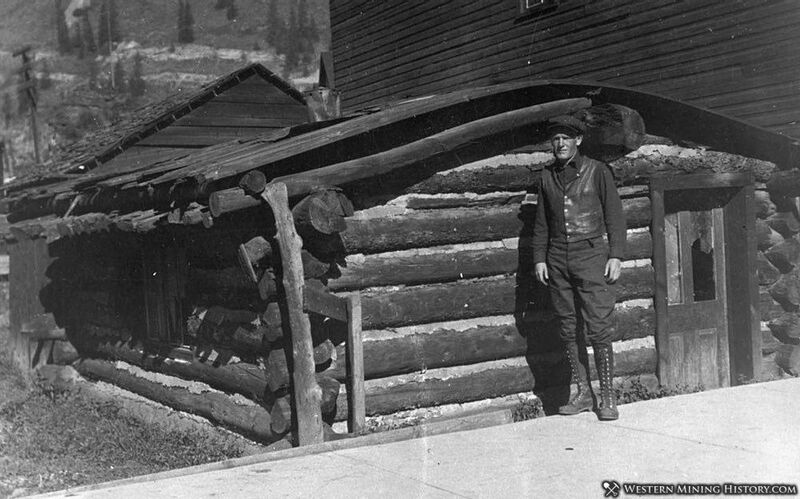 By 1880 a post office was established and the Battle Mountain Smelter was constructed near town. In 1881 the Denver and Rio Grande Railroad reached Red Cliff. Several November 1883 issues of the Leadville Carbonate Chronicle describe the progress in the camp. "Red Cliff presents a more respectable appearance than it did last year. Still they might make at least one row of sidewalk." 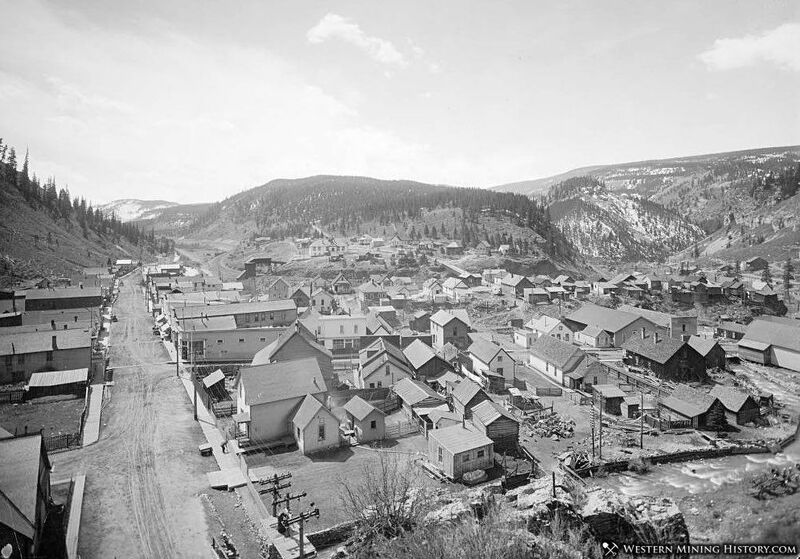 "Among the numerous mining camps of Colorado, none have with the sole exception of Leadville, a better, more solid foundation than Red Cliff, the county seat of Eagle county. 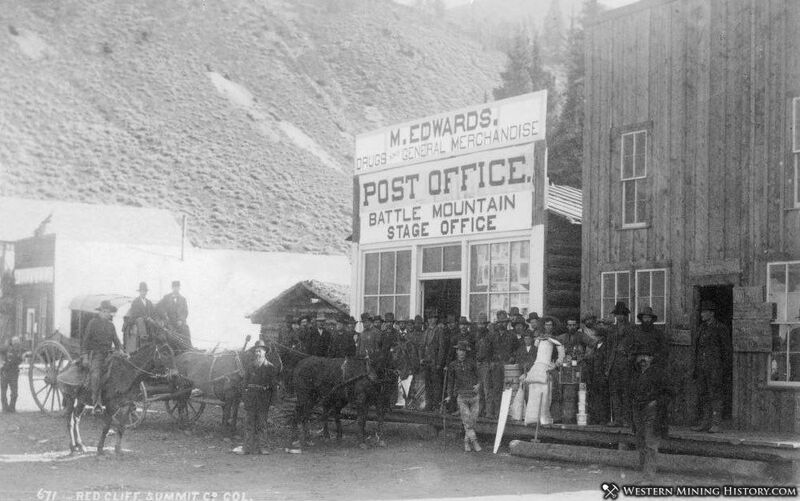 We recognized and predicted the importance of its mines, as far back as the spring of 1879, on account of the similarity of the formation with that of Leadville." "Although it has been hitherto classed as a low grade camp, the peculiar combination of Its lead ore with carbonate of iron, has made it the most desirable smelting ore in the state. The average silver content of this ore does not exceed ten ounces, but recent discoveries on Horn Silver mountain and Rattle mountain at Rock Creek have demonstrated the existence of high grade silver ore in considerable quantities." "But, even if that were not the case, the enormity of the lead deposits, which we reported a few weeks ago, is sufficient in itself, to permanently secure the prosperity of the camp." "Red cliff is in its peculiarities different from most mining camps we have visited, in as much as few idle men are seen on the streets; stores, presenting a prosperous trade, tho constant whistle of the freight engines, reverberating through the canons, drawing after them car after car of precious mineral...."
Since Red Cliff's boom years fell between the 1880 and 1890 census, it is not clear how large the camp got during those years. The 1890 census puts the population at 383, and only 256 in 1900. The camp's peak population in the 1880s was certainly higher than the 1890 figure, but the exact number is difficult to determine. 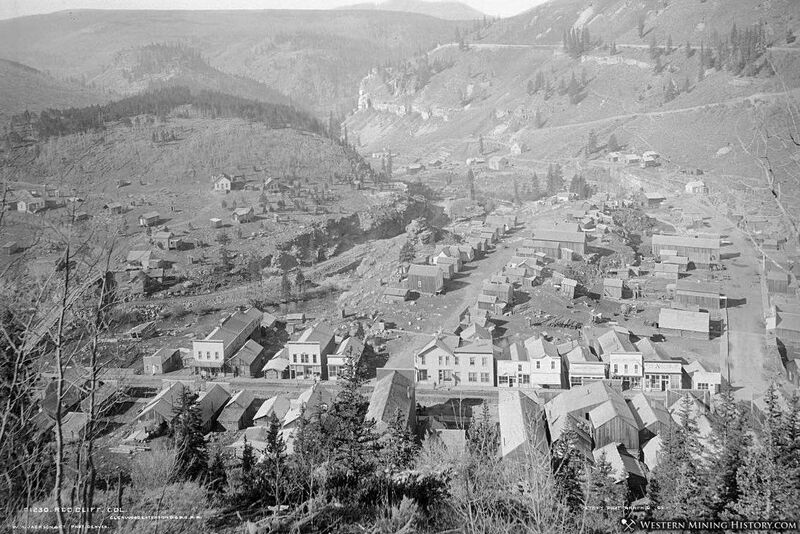 Red Cliff was the first county seat of Eagle County, and remained so until the seat was moved to Eagle in 1923. 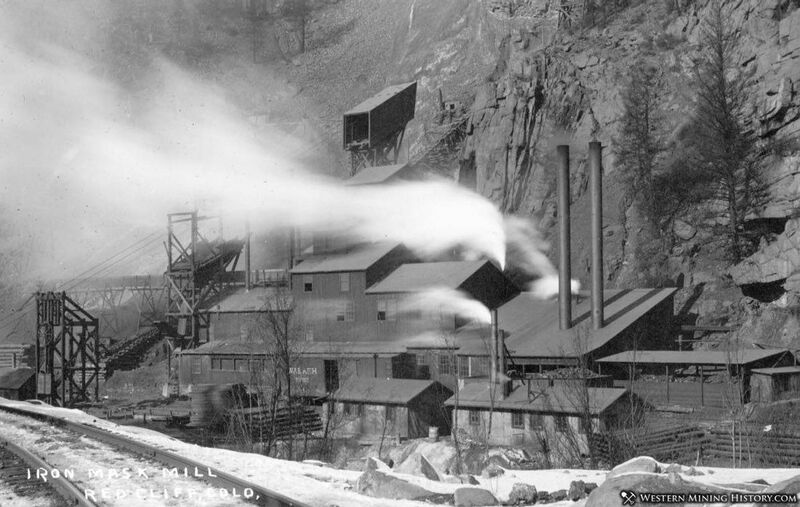 Mining around Red Cliff kept the town alive for many decades. The transformation of the area into a resort and ski destination has helped the town transition from mining into a modern economy over the last few decades.